The second week of the season is in the books and equilibrium is reigning. With the exception of BNB and Treviglio, all teams that won in week 1 conceded the game this weekend. Basket Nord Barese’s 53-57 win over Casalpusterlengo came as a surprise. Assigeco, defeated in week 1 too, is still without victories and poor performances by their U.S. players certainly didn’t help (Aronhalt was 0-8 from three with a -3 of Index Rating). 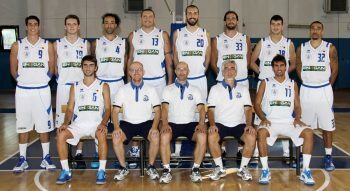 The other 0-2 team is Liomatic Group Bari. 5 players in double digit for Recanati lead their team to a 38 points win over a Bari team that looks like an early candidate for the last spot. Having talked of Enegan’s defeat in Treviglio, the others team that couldn’t confirm their first win are Roseto, Chieti, Mantova, Ferrrara and Agrigento. Modus FM Roseto lost 85-76 in Lucca. For Arcanthea, David Parente lead all scorers with 24 points and Demitrius Conger reserved a couple of spots in LegaSilver’s Week 2 TOP 10 plays. Mike James’s 28 points proved to be too much to overcome for Proger Chieti, which lost 78-60 against Paffoni Omegna. Dinamica Mantova 73-86 Acmar Ravenna, Bawer Matera 73-67 Mobyt Ferrara and Viola Reggio Calabria 78-75 Moncada Agrigento completed week 2’s games.